A restive antiwar movement, largely dormant since the election of Barack Obama, is preparing a nationwide campaign this fall to challenge the administration’s policies on Afghanistan. Anticipating a Pentagon request for more troops there, antiwar leaders have engaged in a flurry of meetings to discuss a month of demonstrations, lobbying, teach-ins and memorials in October to publicize the casualty count, raise concerns about the cost of the war and pressure Congress to demand an exit strategy. But they face a starkly changed political climate from just a year ago, when President George W. Bush provided a lightning rod for protests. The health care battle is consuming the resources of labor unions and other core Democratic groups. American troops are leaving Iraq, defusing antiwar sentiments in some quarters. The recession has hurt fund-raising for peace groups and forced them to slash budgets. And, perhaps most significant, many liberals continue to support Mr. Obama, or at least are hesitant about openly criticizing him. But there is also a sense among some antiwar advocates that Mr. Obama’s honeymoon with Democrats in general and liberals in particular is ending. As evidence, they point to a recent Washington Post/ABC News poll showing that 51 percent of Americans now feel the war in Afghanistan is not worth fighting, a 10-point increase since March. The poll had a margin of sampling error of plus or minus three percentage points. The Obama administration has opposed legislation requiring an exit strategy, saying it needs time to develop new approaches to the war. “Given his own impatience for progress, the president has demanded benchmarks to track our progress and ensure that we are moving in the right direction,” a White House official said, speaking on condition of anonymity. The October protest schedule is expected to include marches in Washington and elsewhere. But organizers acknowledge that it may be difficult to recruit large numbers of demonstrators. So groups like United for Peace and Justice are also planning smaller events in communities around the country, including teach-ins with veterans and families of deployed troops, lobbying sessions with members of Congress, film screenings and ad hoc memorials featuring the boots of deceased soldiers and Marines. The October actions will be timed not only to the eighth anniversary of the first American airstrikes on Taliban forces and the seventh anniversary of Congressional authorization for invading Iraq, but also an anticipated debate in Congress over sending more troops to Afghanistan. Gen. Stanley A. McChrystal, the commander of American forces in Afghanistan, is widely expected to request additional troops, beyond the 68,000 projected for the end of the year, after finalizing a policy review in the next few weeks. 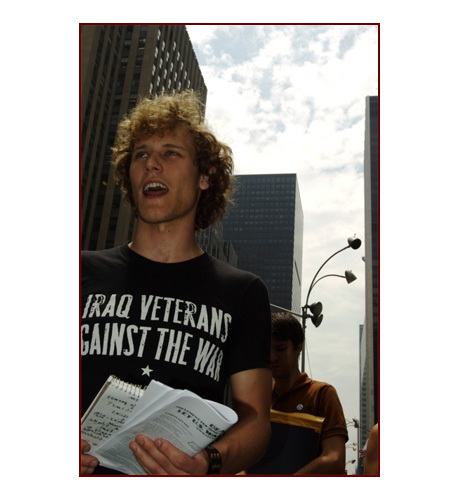 The antiwar movement consists of dozens of organizations representing pacifists, veterans, military families, labor unions and religious groups, and they hardly speak with one voice. Some groups like Iraq Veterans Against the War have started shifting their focus toward Afghanistan, passing resolutions demanding an immediate withdrawal of troops from there. Others, like VoteVets.org, support the American military presence in Afghanistan, calling it crucial to fighting terrorism. And some groups, including Moveon.org, have yet to take a clear position on Afghanistan beyond warning that war drains resources from domestic programs. There are also signs that some groups that have been relatively quiet on Afghanistan are preparing to become louder. U.S. Labor Against the War, a network of nearly 190 union affiliates that has been focused on Iraq, is “moving more into full opposition to the continuing occupation” of Afghanistan, said Michael Eisenscher, the group’s national coordinator. “President Obama risks his entire domestic agenda, just as Johnson did in Vietnam, in pursuing this course of action in Afghanistan,” Mr. Eisenscher said. Handfuls of antiwar protestors can still be seen on Capitol Hill, outside state office buildings and around college campuses. Cindy Sheehan, for instance, has set up her vigil on Martha’s Vineyard while Mr. Obama vacations there. But many advocates say a lower-key approach may be more effective in winning support right now. An example of that strategy is an Internet film titled “Rethink Afghanistan,” which is being produced and released in segments by the political documentary filmmaker Robert Greenwald. In six episodes so far, Mr. Greenwald has used interviews with academics, Afghans and former C.I.A. operatives to raise questions about civilian casualties, women’s rights, the cost of war and whether it has made the United States safer. The episodes, some as short as two minutes, are circulated via Twitter, YouTube, Facebook and blogs. Antiwar groups are also screening them with members of Congress. Mr. Greenwald, who has produced documentaries about Wal-Mart and war profiteers, said the film represented a “less incendiary” approach influenced by liberal concerns that he not attack Mr. Obama directly. Code Pink is trying to build opposition to the war among women’s groups, some of which argue that women will suffer if the Taliban returns. In September, a group of Code Pink organizers will visit Kabul to encourage Afghan women to speak out against the American military presence there. And Iraq Veterans Against the War is using the Web to circulate episodes of a documentary, “This Is Where We Take Our Stand,” filmed in 2008 at its Winter Soldier conference, at which veterans from Iraq and Afghanistan testified about civilian casualties, combat stress and other tolls of the wars. The group’s leaders say they do not expect many people to take to the barricades against the administration any time soon. But that will change, they argue, as the death toll continues to rise. Join us in marking the sixth anniversary of a war that should never have happened. We will hear from a few speakers and then leaflet passersby, urging them to contact the White House and Congress. With our economy in collapse -- and millions of people losing jobs and homes -- we cannot keep wasting billions of dollars -- nor any more young lives -- on two tragic and fruitless wars. 6th Anniversary of Iraq War Candlelight Vigil/Thursday, March 19th, 6:30 PM at the gazebo in the center of La Plaza de La Constitucion. We will circle the inside of the gazebo with the updated wall of names, set up a flag at half mast, play taps and hold a candlelight vigil with the reading of the names of all troops killed in Iraq and Afghanistan. Candles will be available. City Hall, 150 N Capitol Blvd. for a rally. We are fighting two wars in which thousands of US soldiers have died or have been wounded and hundreds of thousands of innocent civilians have been killed and wounded. We are spending BILLIONS on these wars while teachers are not hired, houses are not built, and families go without food, shelter, and healthcare; and as an economic depression brings more and more unemployment, foreclosures, and despair. Bring candles and signs that reflect your feelings about the wars in Iraq and Afghanistan, our spending priorities, and our economy. Sponsored by: Justice with Peace Task Force of Watertown Citizens for Environmental Safety, Newton Dialogues on Peace and War, and Waltham Concerned Citizens. If you have questions, please call 617-926-8560, mailbox 2. 7:30 PM - Prayer Service for Peace and Reconciliation ALL ARE WELCOME. Rally & march to protest US escalation of war in Afghanistan; bombing of Pakistan; continuation of secret rendition. 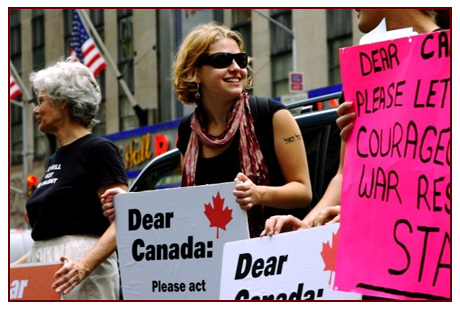 Join the first national anti-war protests of Obama's War on Terror. Screening of Operation Lysistrata, the inspirational anti-war documentary of a worldwide theatrical protest of the Iraq War will be screened along with refreshments and invited guest speakers. Six years too many into this war, rededicate to activism against war and for social & financial justice with this inspiring film! Noon, Philadelphia City Hall (west side, 15th & Market Sts.) Vigil for Peace with the Walk for a New Spring:reading the names of U.S. and Iraqi war dead; Celeste Zappala, whose son, Sherwood Baker was killed in Iraq, April '04; music; and walk-around City Hall, prior to Mayor's Appeal for Disarmament. Organized by the Brandywine Peace Community and Catholic Peace Fellowship. Call 610-544-1818 for more information. CLEVELAND--Some 400 antiwar activists gathered for the National Assembly to End the Iraq War and Occupation on June 28 and 29. 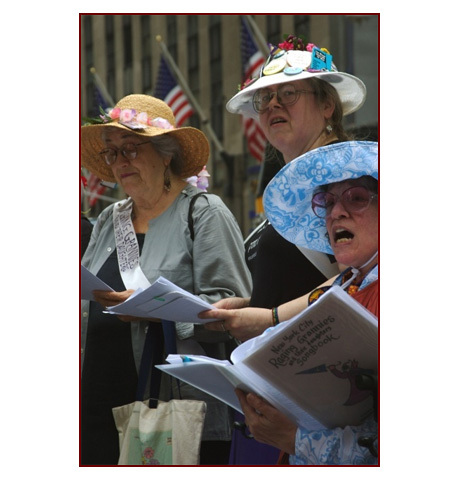 Some attendees came as individuals, while others were representatives of national antiwar organizations, local or regional peace coalitions, and groups of antiwar veterans and military family members. Organizations in attendance included United for Peace and Justice, ANSWER, Troops Out Now Coalition, U.S. Labor Against the War, Iraq Veterans Against the War, Veterans for Peace and Military Families Speak Out, among others. Conference participants took up many of the issues facing the antiwar movement. The assembly decided on a call for a national day of action on October 11, as well as a week of actions from December 9 to 14. One of the many issues addressed by the assembly was the inclusion of the demand to end the U.S. war and occupation of Afghanistan alongside opposition to the war in Iraq, given that these conflicts are both aspects of the U.S. drive to dominate the Middle East. The assembly also agreed to express its opposition to any attack on Iran, including the use of sanctions or other sorts of threats and coercive measures against Iran's sovereignty, and to take action against such attacks, whether carried out by the U.S. directly or by its proxy Israel. Participants elected a 13-member administrative body to carry out decisions of the assembly and take up issues that there wasn't time to resolve during the weekend. Despite opinion polls indicating broad antiwar sentiment in the U.S. population, there have been no major national antiwar mobilizations since January 2007. What's more, many activists have decided either to take a wait-and-see approach during this election year--or have been caught up in the enthusiasm for the Obama campaign. Some conservative voices in the antiwar movement defend this state of affairs--at the Cleveland meeting, Leslie Cagan, representing United for Peace and Justice, said in her speech that the movement was in good shape as it exists now. But for many others, there is enormous frustration and a recognition of the need for a unified, mass movement to challenge the war planners in the White House, Congress and the Pentagon. The assembly sought to address this frustration. Yet it will require substantial new forces--built from the grassroots, in neighborhoods, on campuses and in cities--to revive the movement and create the necessary foundation for sustained organizing at the national level. It's important for antiwar activists to support any and all efforts dedicated to ending these barbaric wars of occupation--and keeping the U.S. from starting new ones. The success of antiwar formations at a national level will continue to require, first and foremost, the patient work of building networks of activists at the grassroots and taking actions locally that can be the building blocks for a national movement. Shutting Down The Machine - Congress Must Demand U.S. Troop Withdrawal! Yesterday, when General Petraeus testified before the Senate Armed Services and Foreign Relations Committees he made it crystal clear that the Bush Administration intends to keep a minimum of 140,000 U.S. troops in Iraq at least through the end of its term. This position was sharply criticized by some on Capitol Hill. But we've heard all this before. What's urgently needed is less talk and effective action by members of Congress. They have it in their power to stop this war, if they use it. They can refuse to allocate additional money for the war. They can also co-sponsor and then vote for HR 5507, introduced by the leaders of the Out-of-Iraq Caucus. This is a strong bill that requires the rapid removal of all U.S. troops and security contractors from Iraq. It repeals the original authorization for the use of military force, bans permanent military bases, supports funding for Iraqi reconstruction, requires closure of all detention centers operated by the U.S. and contains many other valuable provisions including anti-torture language. Without peace movement support, this bill will languish. The same members of Congress who complain loudly about the failure of the Bush strategy have been too timid to back this important remedy. Today, we'd like to highlight the actions that will be taking place on March 19th, the anniversary of the U.S. "shock and awe" assault on Iraq, the day on which five years of horrifying death and destruction began. March 19, Mass Nonviolent Direct Actions in Washington, DC: We've marched, we've vigiled, we've lobbied -- it's time to put our bodies on the line in large numbers. We encourage everyone who can to join us in DC, on Wednesday, March 19th, to be part of the day of action, or to assist in support work. We are working to have delegations from all 50 states take part in this massive day of action. March 19, Local Actions Throughout the Country: While we are working hard to have a large turnout in DC on March 19, it is also necessary to be visible and vocal in our local communities on that day. Congress will not be in session and so our representatives and senators will be in their home districts/states. We are aiming to have at least one action in each of the 435 congressional districts. We encourage those who are not able to make it to DC on March 19 to organize and participate in local actions. These events will vary in location and character -- some will be vigils, others civil disobedience actions, some will be held at congressional offices, others in town squares -- but they will all be tied to the actions in Washington and sending the same message to the policy makers: It is time to end this war and occupation! Our activities to mark the 5th anniversary are designed to offer new opportunities for people to publicly express their opposition to the war. We believe the anti-war movement must use the 5th anniversary as the beginning of a renewed and bolder effort to finally bring this war to an end. This is a challenging call to action, but it is urgent that we mark the 5th anniversary in as strong a way as possible to help ensure that ending the war in Iraq remains a central issue in the public discourse throughout this year. Spread the word. Circulate this message as widely as possible! Post a 5 Years Too Many web button on your website or blog. Make plans now to join us in Washington on Wednesday, March 19th. Visit www.5yearstoomany.org/march19dc for more info and to register to join us in DC. The call for the actions in Washington is included below -- please share it with your friends, family, co-workers, neighbors, people you go to school with and everyone else you know and encourage them to make the trip to DC. Get involved in local March 19 organizing. If you can't get to DC, check out what's happening in your area on March 19th and get involved. If you don't see anything listed yet for your area, start planning something now. We have lots of ideas for action you can take locally that day. Post the details of your action on our calendar so others can join you. Make the most generous donation you can today. Please help give UFPJ the resources needed to organize and support both the DC and local actions. Every contribution you make is immediately put to good use. Finally, we will soon be sending information about the other major 5th anniversary event we are supporting -- the Winter Soldier hearings being organized by Iraq Veterans Against the War. Please keep your eyes open for email from us with more details on how you can get involved in solidarity activities in your area. March 19th will mark the beginning of the 6th year of the U.S. occupation of Iraq. Enough is enough! We are organizing creative, nonviolent acts of civil disobedience in Washington, DC, to interrupt business as usual for those promoting and profiting from war and empire building. Focusing on the pillars of war , our actions will take place at multiple sites, demonstrating the real costs of war and offering visions for a more just and sustainable world, a world at peace. Click here to sign up to join us in DC on March 19th. Information on civil disobedience trainings, etc. coming soon! Five years of war and occupation in Iraq ... at what cost? A country in shambles with 650,000 to 1 million Iraqis dead or wounded, 4,000,000 displaced, families and communities ripped apart. Nearly 4,000 U.S. service people killed and over 40,000 wounded, many then neglected by our government. All the while U.S. corporations reap huge profits as they plan to control Iraq's oil. Over $1.2 trillion spent on death and destruction while at home millions of uninsured have no access to affordable healthcare, public infrastructure is collapsing, the housing mortgage crisis is growing, unemployment is rising and the Gulf Coast has yet to be rebuilt. Continued abuses on our natural environment with corporate greed protected. The Arctic and Greenland melting before our eyes, Indigenous cultures and peoples being destroyed, extreme climate events -- all tied to the addiction to oil. Torture, illegal surveillance, domestic spying, erosion of civil liberties. A criminal administration with a Congress and judiciary no longer offering adequate checks and balances. The Constitution, with its articles of impeachment, rendered irrelevant and disregarded. And now threats of an attack on Iran and escalation of the U.S. military operation in Afghanistan. False claims of weapons of mass destruction, while all along the WMDs have been right here in the U.S. These Are the Times in Which We Live. This Is Our Time to Respond. United by common demands and organizing principles, groups are encouraged to participate in nonviolent mass actions and/or organize their own actions in coordination with others. There could be sit-ins, die-ins, blockades, pray-ins, bike blockades, street theater, poetry readings, puppets, speak-outs and more at government agencies, war profiteers, corporate media, military recruitment centers, or other pillars of war and empire in DC. Unleash Your Imagination!